Update: see TJN writer in UK’s Prospect Magazine making this general point. 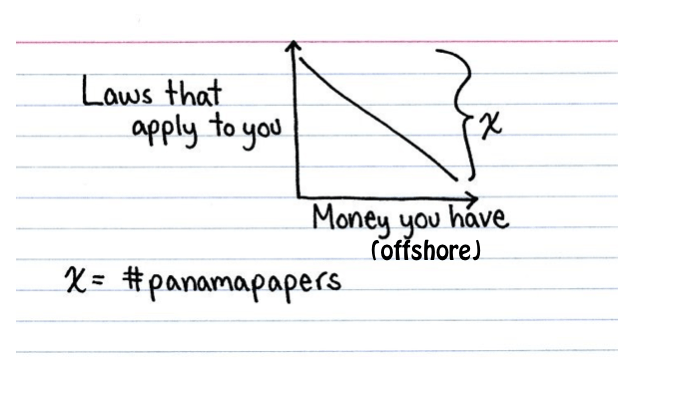 Its shameful that the Panama Tax Scandal has lots of politicians and diplomats involved in Africa and around the globe. For exmple in Zambia we have our former republican President DR Fredrick Chiluba and the Former US Ambassador and of his second term. These are the people we as Citizens usually trust but with this exposure, I think its time to open up our minds and fight Tax injustice. This issue has really brought a lot of resounding questions on either we should continue trusting elite Politicians or Not and has opened my eyes on the importance of critical analysis before influencing my fellow youths to vote for a particular political aspiring Individual. How can what is hidden be made known?